While most fruits and vegetables would easily juice with a regular juicer, if you want to be able to enjoy oranges and other citrus fruits, then it’s essential that you find the best juicers for oranges. Best because the thick pulp produced by citrus fruits can be very difficult for the average juicer to deal with, but when you purchase one made specially to handle citrus then you will have a much easier time getting a glass of juice in the morning. Finding the right juicer for your needs can be tricky, but by comparing three great options, you can be more easily able to make a decision and purchase your next juicer. 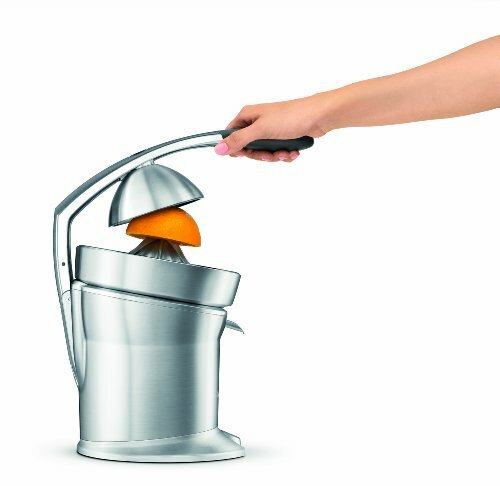 This great juicer from Breville makes it very easy to extract every last drop juice from your oranges. 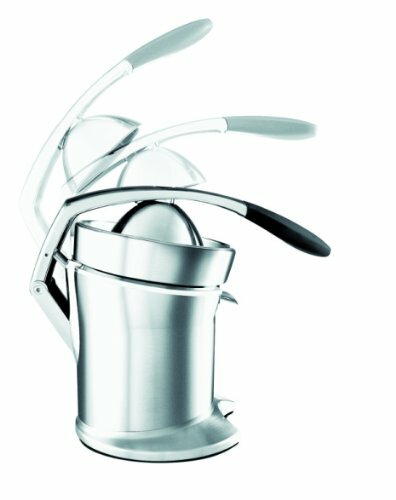 It’s designed in a commercial style which makes it very durable and hardy – perfect for busy families who have some people who want fresh juice in the morning. You don’t have to worry about whether or not your family will be safe when using this juicer, as it has built-in sensors that keep track of the arm press location and will cause the spinning cone to activate only when it touches the fruit. 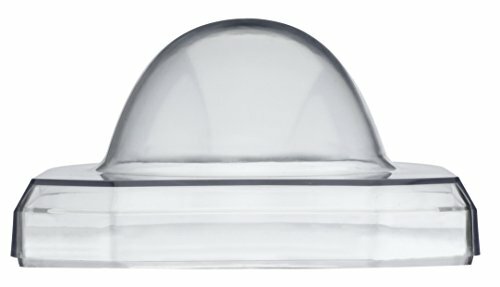 Made with a spherical dome that will keep your orange half centered perfectly on top of the cone, you don’t have to worry about your fruit sliding to one side or the other. 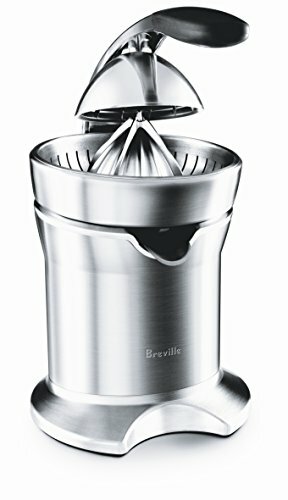 Unlike some citrus juicers that work best only with one type of fruit, this option from Breville perfectly juices everything from small Key limes to large grapefruit. Because you never have to worry about changing the cone, you can switch between different fruits if you tire of oranges. After juicing, you can flip the juice spout up to prevent dripping and keep your countertop clean. The mesh filter will provide you with excellent pulp control, so you don’t have to worry about missing a drop. After you have finished juicing you can place parts of your brittle juicer in the dishwasher, which makes cleanup after juicing oranges easy. 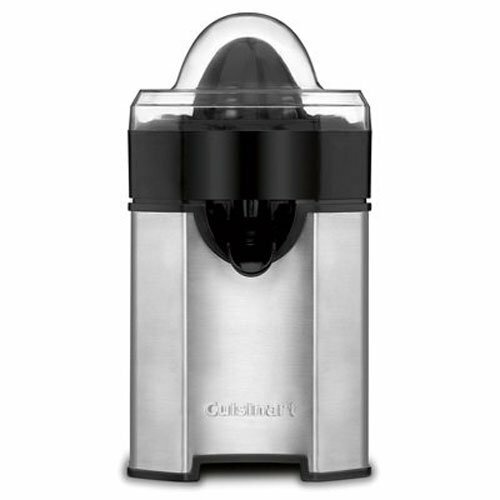 The ergonomic, as well as the included cord storage and dust cover, make this juicer a great option. 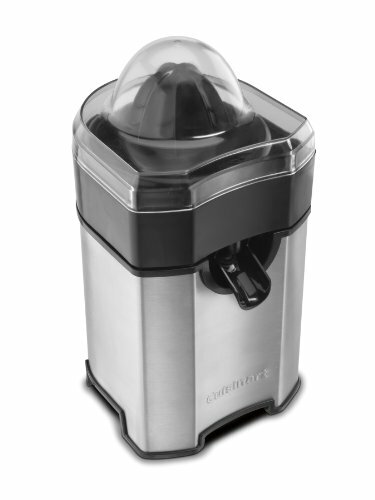 This is a great reamer juicer that will allow you to adjust between three different pulp settings so that you can control how much pulp is in your orange juice. No matter if you want juice without any pulp, just a little pulp, or much pulp, you can easily make the perfect glass of juice for you or your family. 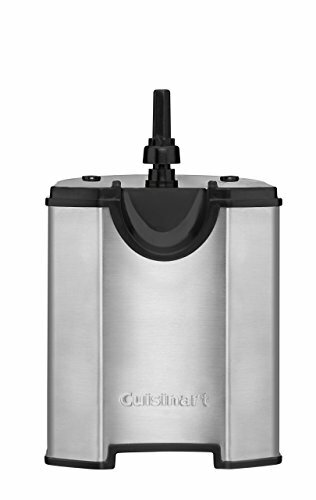 Busy families love that the parts of this Cuisinart juicer can be placed in the dishwasher so that you don’t have to worry about spending much time washing your juicer in the morning when you need to get out of the door. No matter what size glass you want your juice to go into, you can quickly place both short and tall glasses under the spout, so that you don’t dirty a large number of glasses. 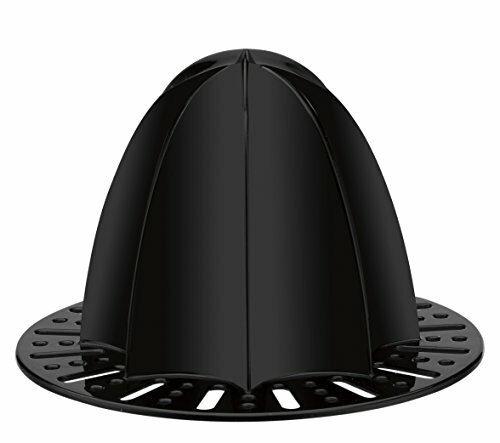 The juicer cone is auto reversing, which means that it is very efficient and will be able to extract much juice from your citrus. 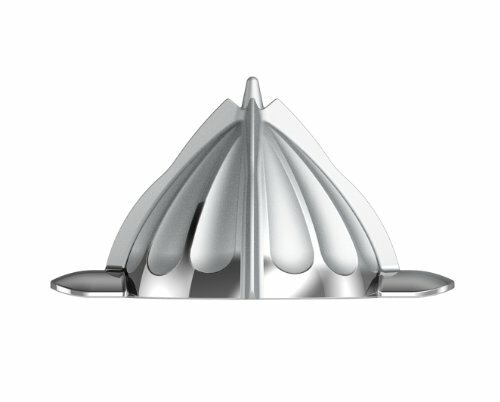 Placing a cover on this juicer will cause it to activate the final spin, which helps to obtain the last drops of juice. The cover prevents any dripping from occurring so that you don’t make a mess. Unlike some other juicers, this one is beautiful and the stainless steel body looks great left out on the counter. 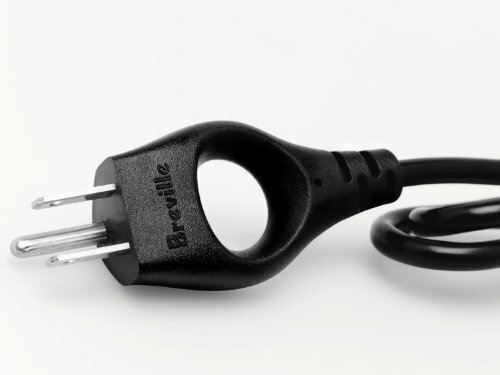 The cord storage ensures that you don’t have to deal with a loose cord laying out. 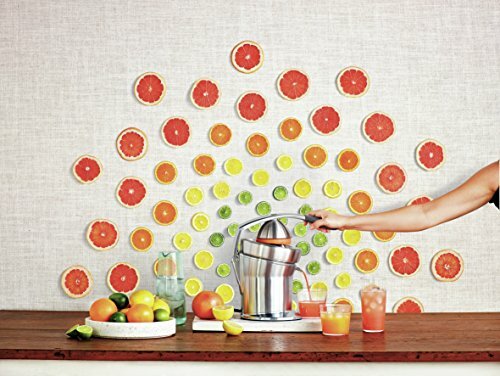 No matter if you are juicing tiny limes or larger types of citrus, you can quickly juice your fruit without a problem. It’s quiet enough for the user to hold a conversation while using it, so you can enjoy fresh juice in the morning without waking up the kids. 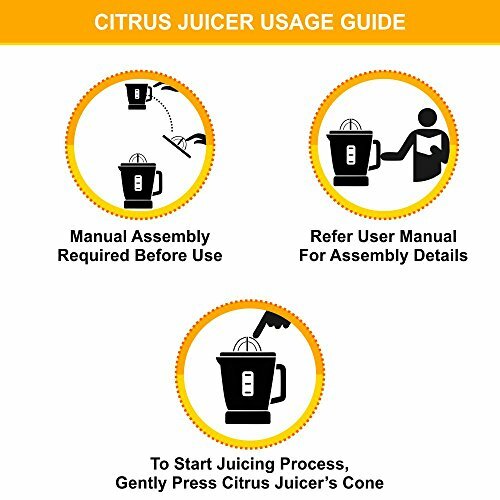 Unlike other juicers that have difficulty extracting every bit of juice from oranges, the Tribest CS-1000 CitriStar makes it possible to get up to 18% more juice from your fruit in a fraction of the time. 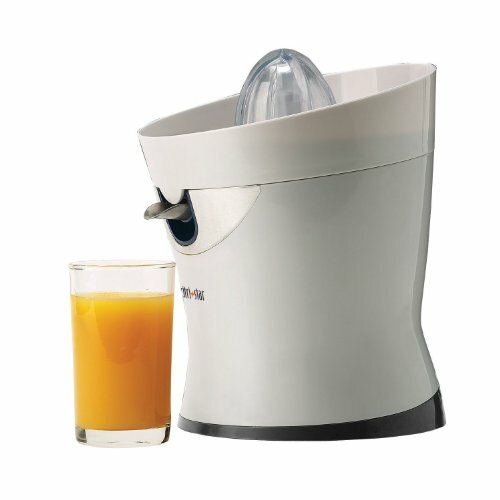 When you’re in a hurry or on a budget and don’t have the time and money to spend on fresh oranges, you can rest easy knowing that this juicer will be able to provide you with full glasses of juice every morning. In addition to being powerful and able to extract the most juice from the oranges, the Tribest juicer is very quiet, so you never have to worry about waking anybody in the morning. With two reamer sizes to choose from, you can quickly select a larger reamer for grapefruits and a smaller one for limes and lemons. Additionally, the mesh strainer, although very fine, is durable and high quality and will not clog while you are running this juicer. 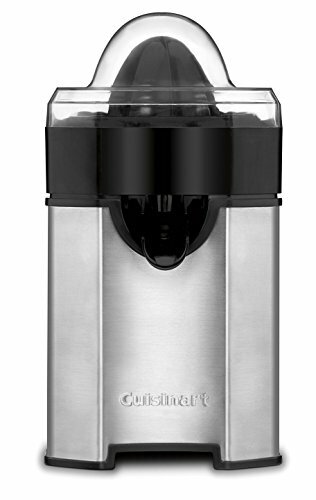 No matter if you want a single glass of juice or enough to fill a pitcher to place on a table for brunch, you can put your collection container under the spout of this juicer and allow your juice to flow in quickly. 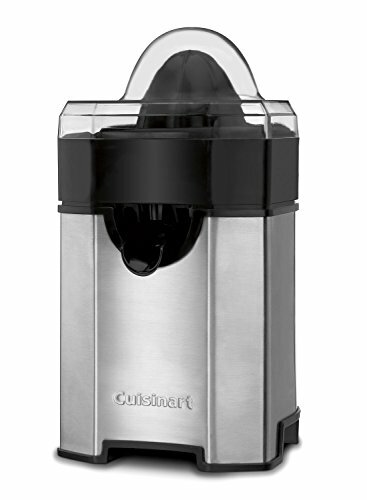 Users love that there are only three individual parts of the Tribest CS-1000 CitriStar juicer that need to be washed, which makes cleaning this juicer fast and easy, so you never have to worry about wasting time in the morning. If you do not have time to rinse the parts of this juicer, they can be placed in the dishwasher to be washed. 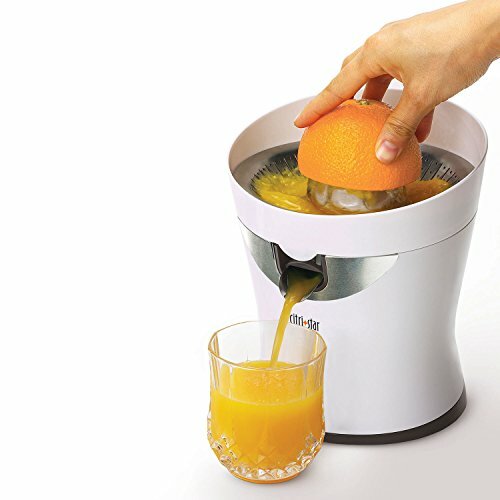 The best juicers for oranges make it easy to enjoy fresh squeezed orange juice in the morning, without much hassle. If you love the taste of fresh juice, instead of what comes from the carton, then it’s important that you buy a great juicer that is not only easy to use but will provide you with a high yield. Otherwise, you will find that you are wasting money buying oranges and are unable to extract every last drop of juice from them, which can be very frustrating. After juicing you should not have to spend much time cleaning up your appliance, which is why choosing one that is dishwasher safe and only has a few parts to wash is important. 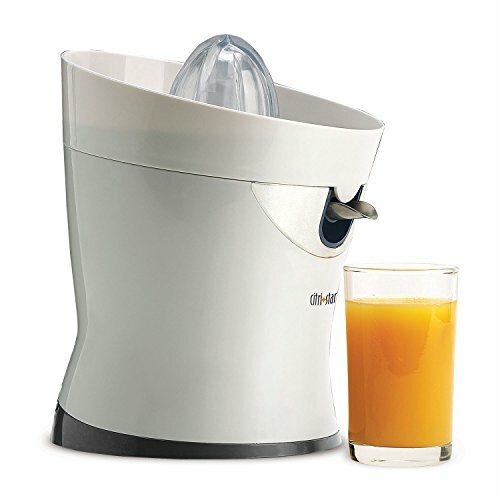 Speed up your morning and enjoy time with your family with a great citrus juicer.